We arrived to the island of Hiva Oa at 02:30 am on May 9th, 2018. The kids were asleep. Christian and I had both been awake since 10pm after a 2 hour nap to charge us through making landfall. Once the anchor was down, we slept…but not soundly. Partly because we were excited to arrive and get to shore and partly because the anchorage was so rolly it felt like we were still underway. And after 21 days of being underway, our bodies were in a routine of waking up so often with all of the little noises and odd movements. We woke a few hours later with the excitement of seeing the landscape, seeing our friends on other boats, making our way to land to start the check-in process, and buying fresh baguettes and brie. Apparently that’s what everyone does… baguettes and brie are the hot commodity in French Polynesia. We were greeted by our friends Marc and Doreen on SV Imani. Marc and Doreen are our neighbors and good friends in our home port of Sausalito, Ca. 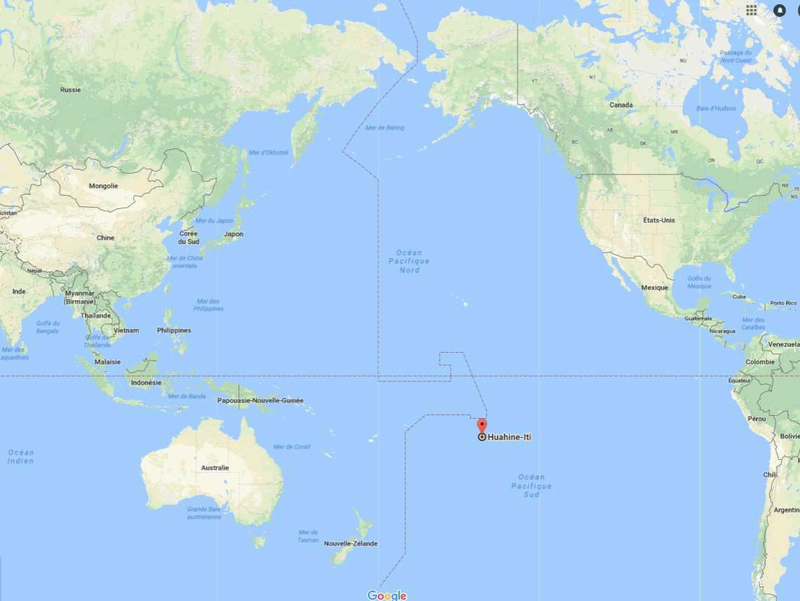 They crossed from San Francisco to the Marquesas this last December, 2017. We were sooooo excited to see them. They brought us a welcome gift of fresh Pomplemouse (local grapefruit) and chocolate chip banana bread. After rationing out the last of our fresh fruit from the crossing, fresh pomplemouse tasted so good. The check-in process was pretty easy. We used “Tahiti Crew” for hire, to help speed the process and get the bond exemption that’s offered for the latitude38 sponsored “pacific puddle jumpers”. Sandra, the agent in Hiva Oa, picked us up in her car, drove us to town and facilitated the check-in process at the Gendarmarie (police station). It was official, from May 9th, we had 90 days to explore all we could of French Polynesia. After that, we roamed on foot exploring the land, picking mangos that had just fallen from trees and taking in all that was there, the smell, sight, feel. We didn’t get baguettes that first day. Apparently it’s common for them to run out by noon. We did get our baguettes and brie eventually though. Shopping for groceries was fun. Most stores were closed for “siesta” (I’m too use to Latin America to call it otherwise) at 11:30 – 2 pm, so provisioning had to be planned around that. The prices weren’t as bad as we expected. We had heard terrible warnings on price tags, but honestly I think we weren’t that shell shocked coming from Panama. Some items were outstanding and some were cheap. The “red tagged” items marked those that were government subsidized, so those were affordable. As long as you took your time to shop around, good food wasn’t terribly priced. We do recommend finding a local family to buy fruit from. Buying direct from farmers usually brings the price down. Eggs were pretty plentiful on Hiva Oa, coming from a local farmer. They run about $5/dozen, but they are farm fresh and tasty. Eggs in Nuka Hiva are much harder to get. They came from Hiva Oa and needed to be reserved a few days in advanced. The supply ship came in while we were there. They brought in more fresh produce and other imports. Moral of the story, buy government subsidized food and from the local farmers to keep your “kitty” from breaking. Laundry in Hiva Oa can be found and paid for full service, but we used the washing station near the dinghy dock in Atuona, Hiva Oa. See video below for a time lapsed laundry washing demo! The anchorage at Hiva Oa was very rolly and not suitable for swimming (murky and sharky). We were ready to leave as soon as possible to explore. 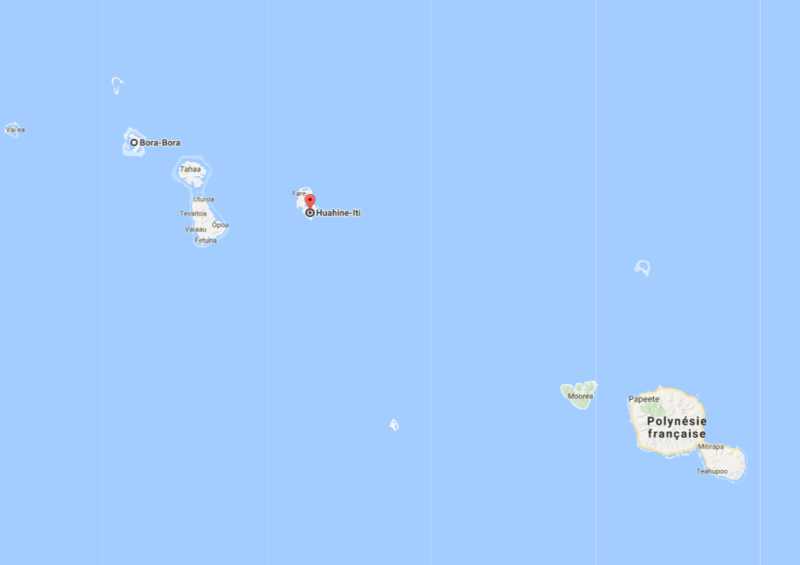 Next, we sailed to Tahuata, a little island just about 10 miles southwest of Hiva Oa. Most of our kid boat friends had already left for there and we were ready to join them. Tahuata was so lovely. We anchored on nice sandy bottom that was visible from the surface and amongst 15 other boats. It was a packed bay, but happily so, as 7 other kid boats joined in on the fun. It was so nice to be able to swim and to have the kids paddle from boat to boat. This is the type of freedom we enjoy as cruisers. There is something so nice about being able to swim off your boat, paddle board to the next cove for exercise, letting the kids roam from boat to boat or to shore to play. We even celebrated a few kid boat’s birthdays there. Oh and my 37th as well. Tahuata was one of our favorite places in the Marquesas by far. From Tahuata, we sailed up to Nuku Hiva. That is where we finally met up with our friends Leo and Laurel on SV Summer out of San Francisco as well. Laurel and I use to work together at UCSF and long before that, she was boat neighbors with Christian. They crossed the Pacific in their 28 ft monohull from La Cruz, Mexico. It was so nice to meet up with them and have them show us the ropes of Nuku Hiva. They also took us up to the Marquesan ritual sight (Marae) known as Tohua Koueva. This was one of the places where the local Marquesans would hold their rituals and work as a community. It had an eerie feeling about it, but also a strong feeling of sacredness. In the middle of our stay at Nuku Hiva, Christian got a small wound on his toe that quickly became infected and not so small. The treatment took about two weeks for it to heal enough to leave the Marquesas. In the meantime, we went to Anse Hakatea, aka “Daniel’s Bay” hikes around and back to Nuku Hiva. We explored the town a little bit, but mostly socialized with other cruisers at the “snack”, small restaurant, that was at the dinghy dock area. That’s basically where everyone conglomerates to try their luck at wifi connection. Wifi in the Marquesas is very hard to come by, so when the cruisers find it, even if it’s slow, that tends to be where they all meet up. While we were just “sitting” in another murky water, shark zone, we decided to get a marquesan tattoo. We found Teiki HUUKENA , the local Patutiki (Marquesan style of tattoo) to do our tattoos. He thoroughly and passionately studied not only the Marquesan Patutiki, but also all of the other Polynesian styles of tattoo. He even created his own book with as many of the symbols and their meanings as he could fit in. We studied the book and the symbols and made an appointment for our Tattoos. A few days later I went in and had my whole spine done by Teiki’s cousin Teikivahiani PUHETINI. He arrived with full face tattoo, no English, ready to place his art and the Marquesan culture in ink on my back. I book marked a few symbols in the book that had meaning to me and he composed the design. After 2 hours of drawing it out and 2.5 hours to tattooing, it was done. A few days later, Christian got his arm tattooed. During his session, Teiki himself added a few more symbols to the lower section of my back. These two do amazing work! Video to come soon. All said and done, we didn’t explore as much as we’d hoped for in the Marquesas, but we enjoyed what we saw and the people we were with and introduced to. Maybe next time around we’ll get the long stay visa, more than 90 days. This entry was posted in Adventure, Boatschooling, Cruisers, cruising with kids, cruisingkids, kid boats, kids on boat, Sailing blog, sailing family, Sailing with kids, traveling family, world schooling, World travel and tagged #sailinstagram, a family afloat, adventure family, adventure with kids, afamilyafloat, alternative living, boat, boat kids, Boat life, boat school, boat schooling, boating, boatlife, boatschooling, cruising, cruising family, cruising kids, cruising with kids, cruising world, cruisingfamily, culture, family of 5, family of 5 on a 40 foot boat, family sailing, French Polynesia, Hiva oa, homeschooling, homeschooling on boat, kid boat, kid boats, kidboat, kids 4 sail, kids on boats, kidsonboats, live aboard, marae, Marquesan tattoo, Marquesas, navionics, Nuku Hiva, patutiki, Polynesian tattoo, sail, sailing, sailing adventure, Sailing blog, sailing family, sailing life, sailing the Pacific, sailing the world, sailing with kids, sailing world, sailingfamily, sailingwithkids, shawnigan, sloop, stevens 40, stevens40, sv shawnigan, tattoo, teiki, teiki huukuena, Teikivahiani PUHETINI, tiki, tiny house, traveling family, traveling with kids, world culture, world school, world schooling, World travel, worldschooling on August 10, 2018 by A Family Afloat.